Amazon sellers who have over $20,000 and 200 or more transactions in a single year will receive a 1099-k from Amazon.com. This is the document you'll use when you're preparing your income tax return. 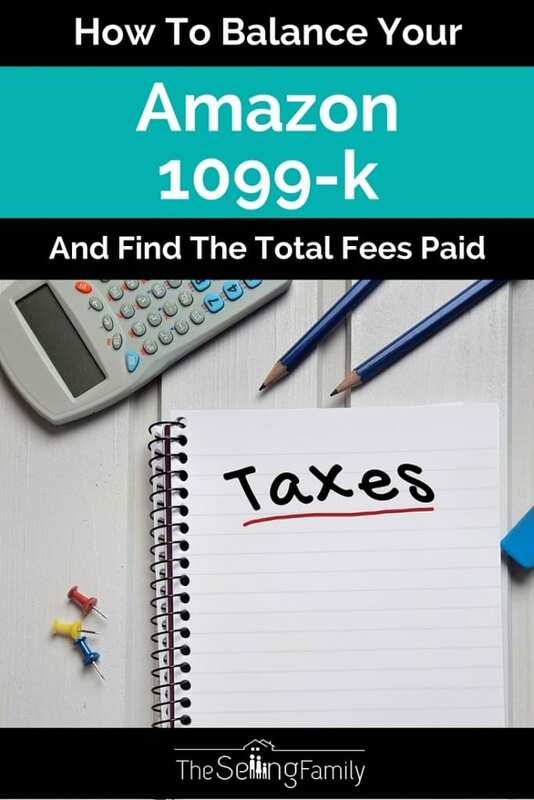 When you first look at your 1099, it may be overwhelming. You might open it up and see some HUGE number for your income. But the number here isn't your net profit for the year. So don't be surprised if the 1099k looks totally different from your numbers in GoDaddy or InventoryLab. That's because the 1099 does not give you all of the information that you need to file your income taxes. To get those numbers, you'll need to gather some more information to balance your 1099k from Amazon. The numbers shown on your 1099 from Amazon are the total numbers, also known as “gross sales”. These also include shipping fees that were paid to Amazon. Refunded purchases are also shown on your 1099. Before you can file your taxes, you will need to do some research in your Amazon account so that you can back out some of your account expenses and get down to the “net” sales numbers. In this video below, I will show you a quick and easy way to see all of the fees that you have paid to Amazon in any given year. Using this method, you will see the “income” reported cut down quite a bit. That way you are only accountable for the net income you receive from Amazon. 2019 Update: I recorded this video about 5 years ago. Although the Seller Central interface looks slightly different today, the steps are actually exactly the same! There is only one minor difference and it's that the 1099k Download is no longer password protected - so it's even easier! It's not ready yet! Amazon will have the 1099k PDF in your account by January 31. They should also send you a copy in the mail. There are other expenses that will need to be accounted for in another way (like Cost of Goods Sold, scanners, polybags, boxes, mileage, etc). This sales report is just to help you figure out the Amazon fees that have been charged to you and that are included in your income on the 1099. You can learn more about other year-end Amazon reports here: Impress Your CPA by Running the Right Year-End Reports. Tax time can be very intimidating for any business owner, and being an Amazon seller is no different. One thing that has really helped us to manage our tax preparation is using the Go Daddy Bookkeeping system. This is a very simple bookkeeping program that we use for both our Amazon business and our training business. We have it connected to our business checking account, our business credit card, PayPal, and our Amazon seller accounts. We set up automations for many of our transactions, so that once a month we can quickly itemize any uncategorized expenses. We can also keep track of mileage, and receipts in the system. While we are on the topic of taxes, you may also want to check out our “Tax Deductions Every Amazon Seller Should Know About” post. 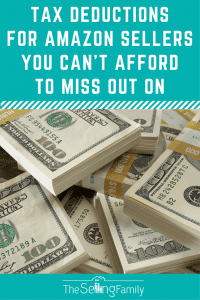 This post will walk you through all kinds of expenses like operating expenses, supplies, equipment, software, education, and even a deduction for putting your kids to work! Of course, to take those deductions, you'll need to have access to your receipts. If you're looking for tips on organizing piles of receipts, be sure to read my list of The Best Ways to Keep Track of Inventory Receipts for Taxes. I hope this Fee breakdown helped you make sense of your 1099k! If you have an Amazon seller friend who's stumped by their 1099k, feel free to share this article! Of course, if you still have questions, just let me know in the comments below! Hi, I’m wondering if you put input a value for your beginning inventory or should that be left at 0? I’m not sure if that would be trying to input two different ways of accounting. Inventory value is used with accrual accounting. I use cash-based so do not carry over inventory values to the next year. I did the Seller Central Generate Report date rage from 01/01/year to 12/31/year and I have to say it really confuses me when I compare it to my godaddy!? Am I doing something wrong? What category do you categorize “REVERSAL_REIMBURSEMENT” & “WAREHOUSE_DAMAGE” in godaddy? How are you categorizing “ShippingServices for …” & “Inbound Transportation Charge for …” For me it’s automatically categorizing it as Amazon Fees. Do I leave it like that or do I categorize it as shipping cost? Hi, My name is Majid Syed, want to start the business. 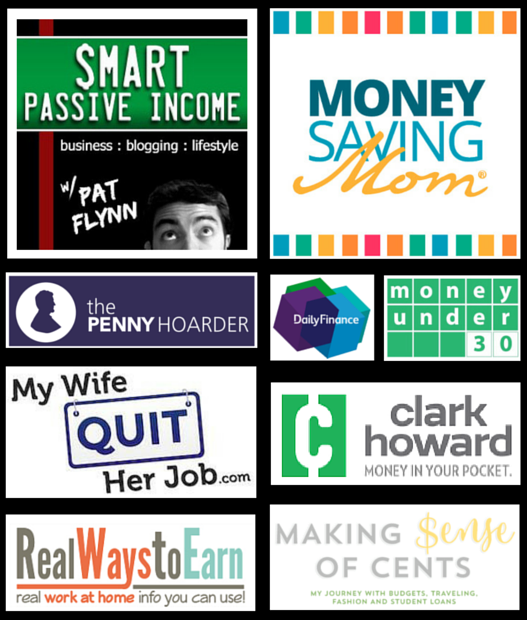 My goal is to make – starting $500 per month, which plan would you recommend. I would recommend reading this post about Retail Arbitrage. You can try doing shorter segments? So I would report the income and then subtract the expenses and then the transfer amount is where i subtract cost of goods, mileage, mailers, tape, etc? When putting in a date range for last year I get this error : “Error Please choose a range 180 days or less to generate this report. If you require a larger range, please generate a subsequent report within the next 180 day period.” I`ve got the summary checked & have the date range set form January 1 2017 to December 31 2017. Thank you very much for taking the time to explain this. So helpful! Very Grateful that you took the time blog this information. I could not find the Amazon fees in a “Total” format on my own. And while I was waiting for Amazon to prepare my annual statement, I took that time to browse your site. Well done, and I have bookmarked your site for future reference. Thank you Jennifer, this is exactly what I was looking for! Thanks a lot, this was so helpful, I find what I need so fast. Thank you again. This was incredibly helpful! Thank you so much! Thank You! This was VERY helpful for me as a first-year seller. I only wish I’d seen this BEFORE I did my 2013 taxes! Thank you for sharing that Cindy. Just getting started with researching to start my e-commerce business. I can’t thank you enough for all of the information you share with all of us. I just purchased your Liquidation Gold e-book, can’t wait to read o=it. I took the whole day today to do my research. Can’t wait to get started!! Also, you talked about Outright, doesn’t IL have the same features? Jessica! THANK YOU!!!! Yahoo! I love this video…..is there another part? whew, I hate doing taxes & this will maybe get me in the mood! Eureka~ I was looking for a way to generate a report that showed our EOY Expenses! your website to see what other helpful online sellers info that you offer! Amazon requires that we have Liability Insurance, do you know any Insurance Companies that offer good coverage that Amazon requires? Thank you Jessica so much for your help!!! Because the IRS want the amount from the 1099-K, or not? I report the amount that is on the 1099, since that is what is reported to the IRS. Did you ever get the answer to where the $3,874.22 came from on the 1099-k? Thanks Jessica for a great video. Hey Jessica, why doesn’t the income – expenses = the transfer amount? Hey John, to be honest, I’m not sure exactly why. My “guess” would be because you can have money carry over from one year to the next, if it didn’t get transferred in the same year as the sale. Does that make sense? Like you have money still in your account on Dec 31 2013, it wouldn’t count until this years transactions. I cannot see the video. I have tried it in three different browsers, but I can only see the article with a big blank white space in the middle where I’m assuming the video should be. Any idea why? Thank you… That was a very easy process. 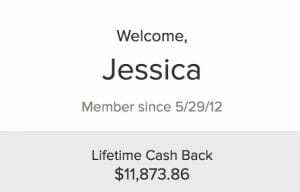 Jessica – does this include product shipping fees to Amazon? If not, is there an easy way to capture those fees? Thanks, Jessica! This was very helpful as it’s my first year tax reporting for our FBA business. How are you liking Outright Bookkeeping? I’m just getting it set up. I’ll be getting NeatReceipts, too, as I have used it in the past and know how valuable a tool it is for business. We really appreciate your video that makes it all so clear. Hey Christine! I am actually really liking Outright for the overall bookkeeping aspect. Several years ago you made a post about what reports we should pull from our Amazon account at midnight on 12/31. I believe there were two. Would you please tell us again? Thanks!